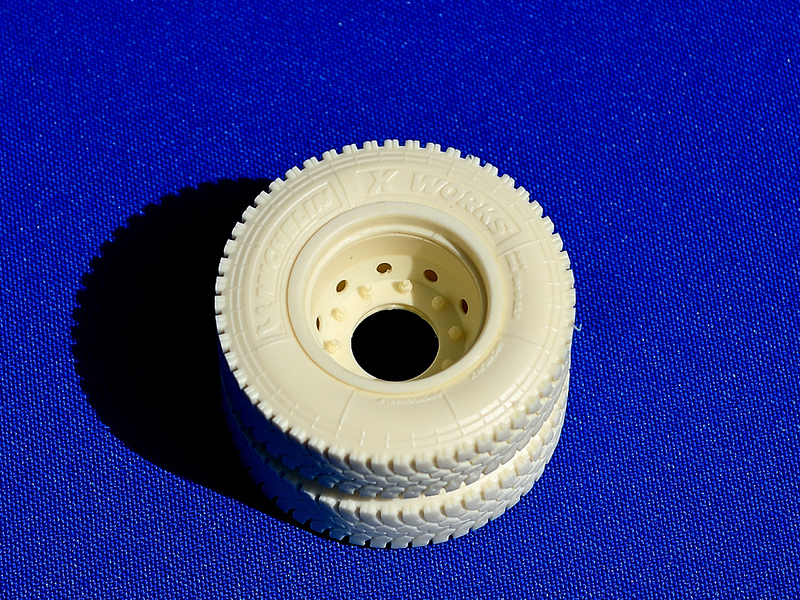 Front rim for 315/80 R22.5 tires. 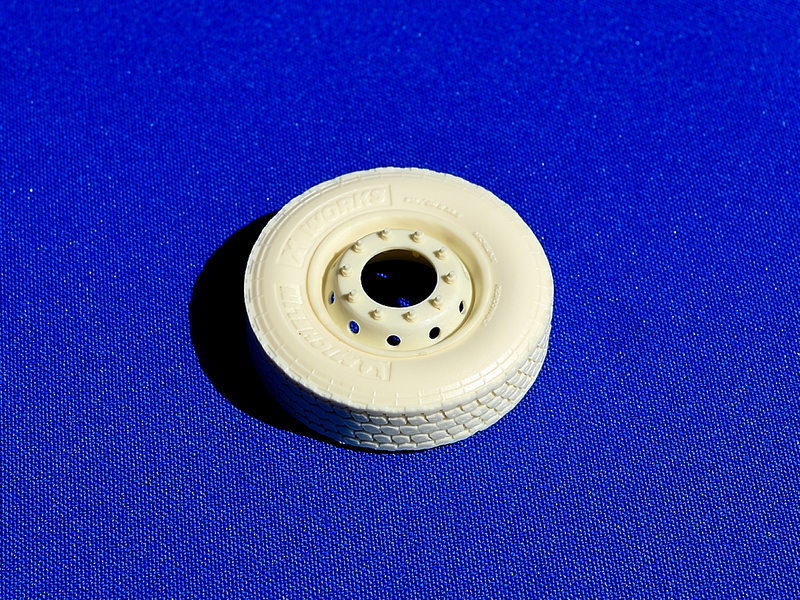 Possible to use with Italeri tires. 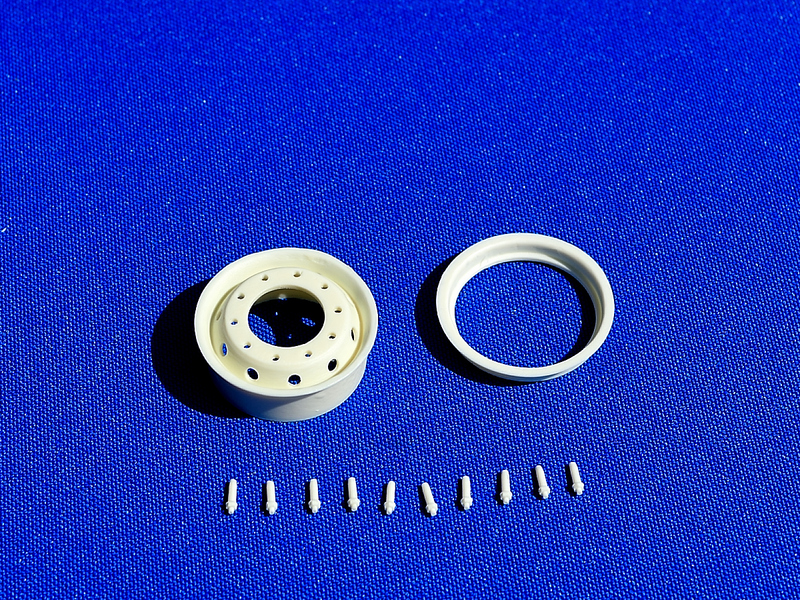 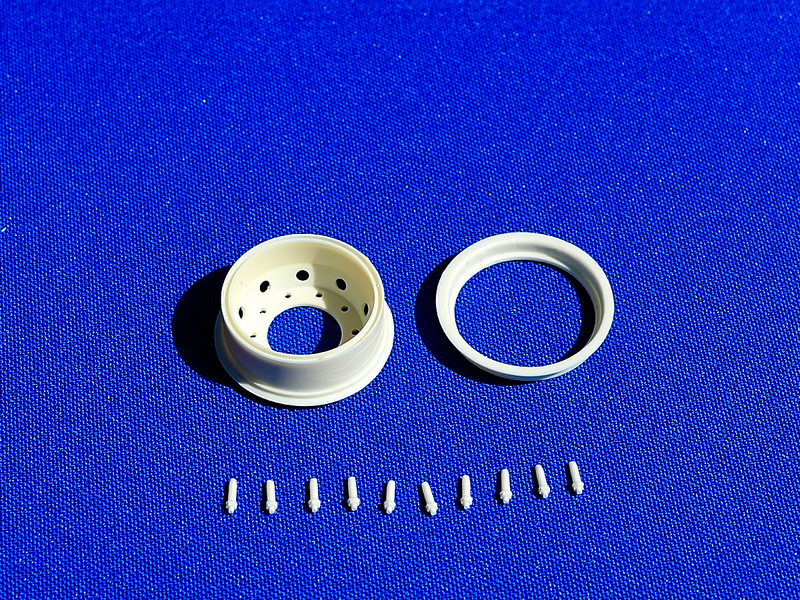 Kit contains one rim and 10 nuts on washers.